Can 2017 Top 2016 for Breaking Ground in New York? Upstate nuclear power plants will start earning additional revenue for their carbon-free attributes in April as New York becomes the first state in the nation to offer the industry a lifeline. The zero-emission credit program, adopted Aug. 1, was but one of a dizzying blitz of policy initiatives from New York regulators in 2016. The nuclear supports were included in the Clean Energy Standard, which mandates 50% renewables by 2030. The Public Service Commission also admitted that the retail electric and gas markets have failed and needs to be revamped. And under the path-breaking Reforming the Energy Vision, the PSC began proceedings to develop a new utility revenue model and ways to value distributed energy resources. With NYISO, the PSC also moved forward on $1 billion in transmission projects. Those are just a few of the initiatives that will continue into 2017 and beyond, many of them under the very large umbrella of REV. The PSC proposed the ZEC program in February to prevent the closure of nuclear plants whose revenues have suffered under low natural gas prices. 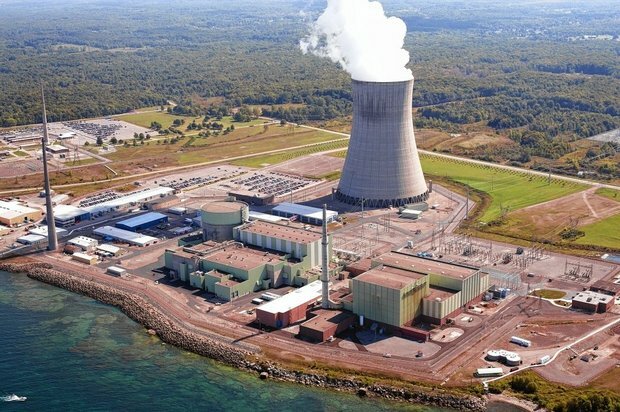 The additional revenue was crucial to Exelon’s agreement to purchase Entergy’s James A. FitzPatrick plant, which the company had threatened to retire. The PSC also banned ESCOs in December from signing up low-income customers, upping the ante from a previous order that set a moratorium on sign-ups. The ECSOs have yet to respond to the latest salvo. The PSC says DER can improve system efficiency if their value is properly reflected in retail and wholesale markets and if utilities are incented to consider them as alternatives to traditional capital investments. NYISO plans to release a “road map” on integrating these resources into the wholesale markets in early January. And to more fully integrate renewable energy resources into the New York grid, proceedings are underway for two public policy transmission projects under FERC Order 1000. One, the Western Energy Connection, will add 1,000 MW of transmission capacity for hydro, gas and renewable generation, including the dam at Niagara Falls. In June, NYISO identified 10 proposed upgrades as finalists, submitting their findings to the PSC. (See NYISO Identifies 10 Public Policy Tx Projects.) The commission in October ordered further review and project selection by NYISO. NYISO’s Strategic Plan for 2017-2021, released Dec. 15, says the grid operator will integrate the public policy goals of New York state to switch to cleaner and more DER while adding technological innovations to grid operations. In addition to maintaining reliability, an important focus will be responding to changes resulting from REV, the ISO said. In addition to the DER “roadmap,” the ISO will pursue greater fuel assurance through gas and electric coordination; capacity market improvements, including reduced reliance on reliability-must-run agreements; the demand curve reset; and improvements to its real-time commitment/real-time dispatch forward horizon coordination.